You are going to write a description of a football mach between your school’s team and one of your neighbouring schools’ teams. The following are the questions you have to answer when describing the match but they are jumbled. Work with a partner and put the questions in the suitable sections. How did each team play in the first half?/ second half? When and where did the match take place? Why was the football match held? What did you think about the game? What was the weather like on that day? What teams took part in the match? What was the spectators’ attitude? Work in pairs. Ask and answer the above questions about a football match you have watched recently. A. I heard you just watched the final women's football match. Right? B. Yes. It was a match in the 2008 AFC Women’s Asian Cup Football finals. A. What teams took part in it? B. The China Team played the Vietnam Team. A. When and where did the match take place? B. At the Thong Nhat Stadium in HoChiMinh City on May 28. A. What was the weather like on that day? B. Fine. Great for the match. A. How did each team play? B. The China team was quite suprior to their Vietnam team in strength and skill. So in the whole match, the China team appeared to he the master of the game. Despite the disadvantage, the Vietnam played fairly spectacularly. A. What was the speclators’attitude? B. They cheered and encouraged both teams. A. Which team played better? B. Certainly the China team, and I think you can guess which team scored the goal. A. OK. What was the result? B. The China won the game with the result 1-0 (one -nil). A. What did you think about the game? B. It was really a good match. The Vietnam, in spite of losing the game was thought to play beautifully. They played with confidence, enthusiasm and determination. Write a description of the football match mentioned above, based on the results of Tasks 1 and 2. The Useful Language may help you. To celebrate the Ho Chi Minh Communist Youth Union's Foundation Day, our School's Sports Club recently played a friendly foodball match with Tran Phu School's Football Team. The match was held on 25th of March, at 3p.m on our school's playground. The match took place in beautiful weather. Our preliminary practice had been very good. In the first half, almost from the beginning we kept the ball away from our goal; and as near as our opponents' as possible. By a combination of passing and dribbling and a final shot, the opponents made a goal against us. The play was so fine that all our schoolboys jumped up and cheered Tran Phu School side. In the second half, we played with great determination. Our defender Hung took the ball and passed it very skillfully to our striker Khai who gave a fine kick into the goal. The entire spectators stood up cheering. So it was one against one. The game became tense because both teams tried to win. Towards the end of the game, our captain Hoan took the ball near the opponents's goal, and he suddently gave a shot straight into the goal. The shot was so tense that the opponent side's goalkeeper couldn't save the shot struck at close range. The goal was scored 3 minutes before the game ended. Finally, our School's Sport Club won 2-1.When the game was over, all of us were happy. I felt proud of my schoolboys - They are young, but very promising players. 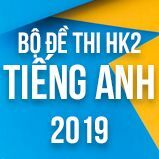 Như vậy là các em đã xem qua bài giảng phần Unit 13 The 22nd SEA Games - Writing chương trình Tiếng Anh lớp 12 về chủ đề đại hội thể thao Đông Nam Á. Các em hãy cố gắng luyện tập thêm bài trắc nghiệm Unit 13 The 22nd SEA Games Lớp 12 - Writing để phát triển kỹ năng viết về chủ đề đại hội thể thao Đông Nam Á. Nếu có gì chưa hiểu các em có thể đặt câu hỏi với cộng đồng Tiếng Anh HỌC247 ở mục hỏi đáp để được giải đáp nhanh nhất. 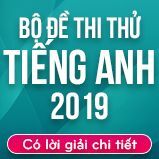 Sau bài học này các em chuyển qua bài học mới Unit 13 The 22nd SEA Games - Language Focus kế tiếp. Chúc các em học tốt!